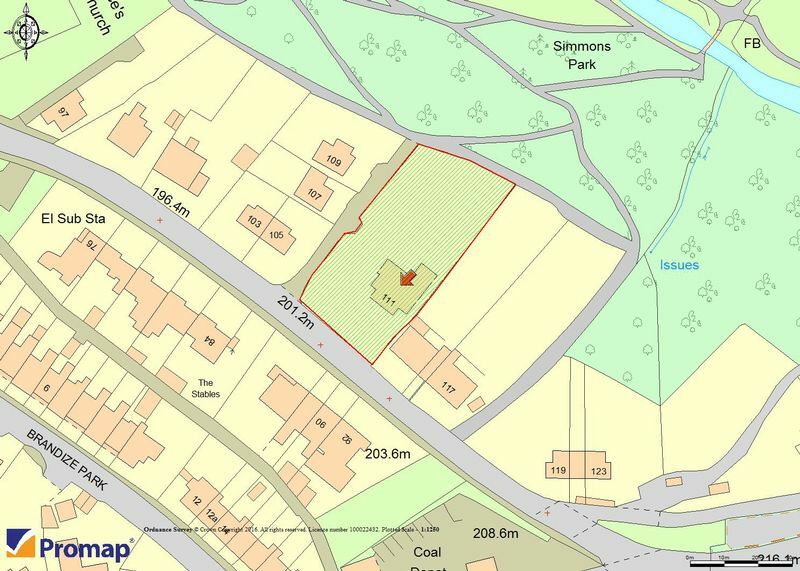 Great location near Okehampton's historic Station and within easy access onto Dartmoor. 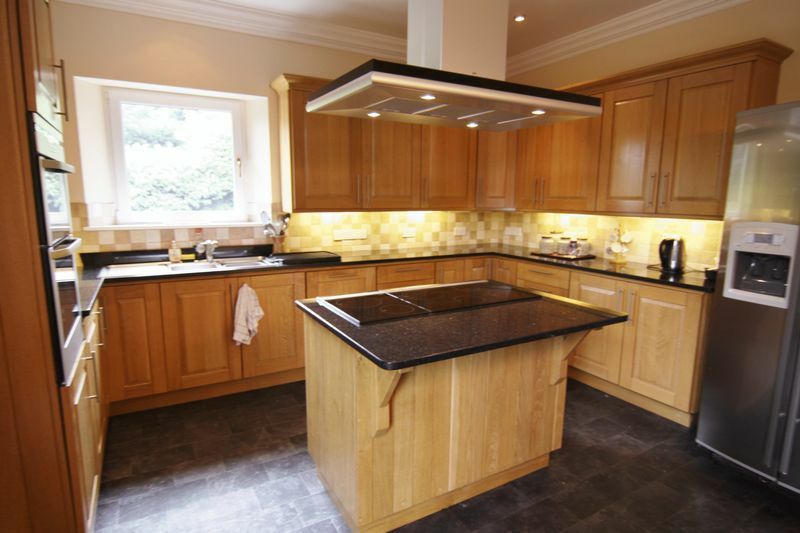 This magnificent detached residence has been sympathetically restored to the highest of standards. The property is situated within its own large gardens for those wanting plenty of outside space whilst there is planning permission for two detached houses should someone prefer the investment opportunity. This beautifully presented residence has been completely renovated by our clients paying attention to detail in restoring character whilst to the highest of standards. 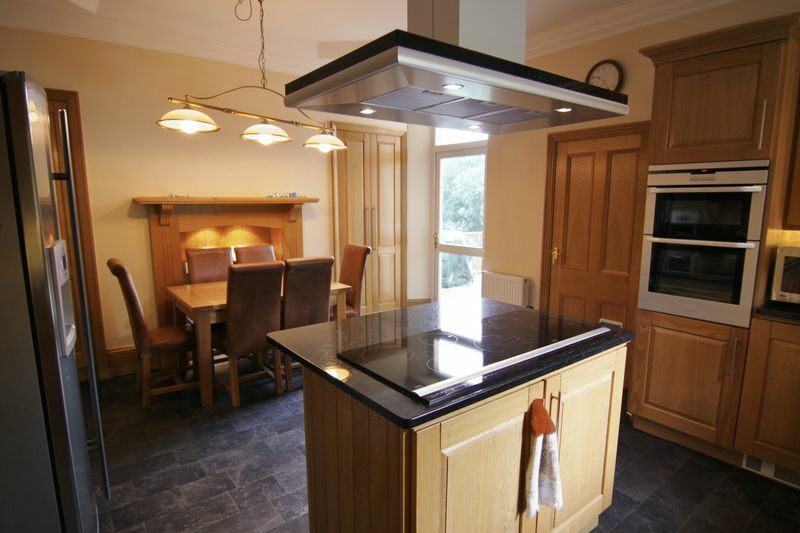 The works have included a new roof, windows, doors, re plastering of walls and ceilings with ornate coving and ceiling roses in some rooms, new central heating system, new drainage, complete rewire, bathrooms, kitchen and much more. 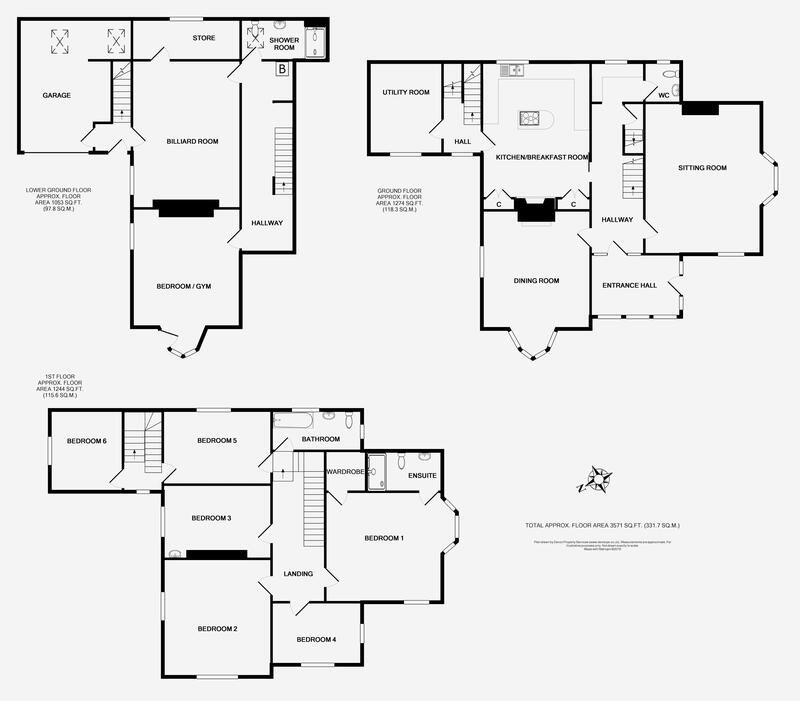 Internal viewing is essential to appreciate the extent and level of the works undertaken. The property sits within its own elevated grounds. 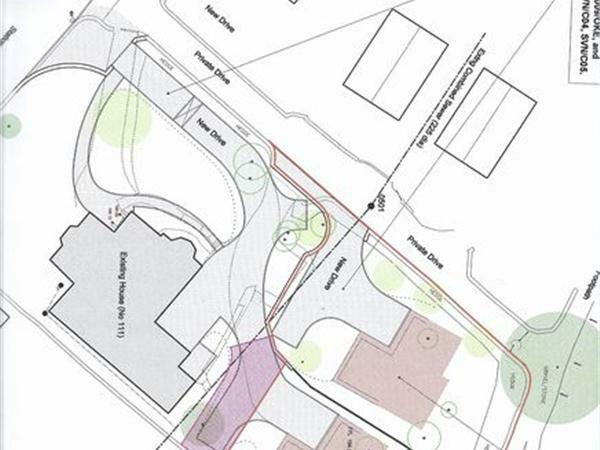 Our client has obtained planning permission for the garden to develop two detached three bedroom houses and the permission together with the details plans will be passed on to any purchaser should they wish to exercise the permissions at any time. Further details on this can be seen below. 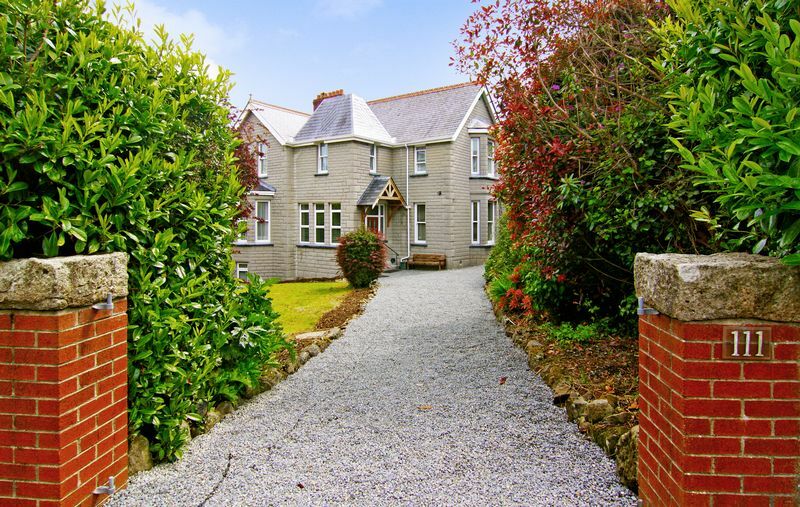 Okehampton is an active and thriving town with a good range of facilities including 3 major supermarkets, a number of chain stores as well as many locally owned shops, major banks and some building societies. 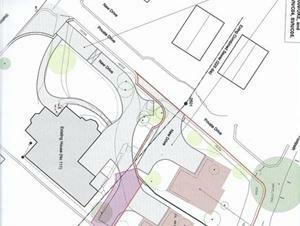 There is a new hospital, a multi doctor surgery and a new 4.5 million pound sports complex and swimming pool. Most other sports are well catered for - golf, squash, tennis, rugby, shooting to name but a few. The highly successful community college has Technology College status with outstanding facilities which takes children to 6th Form. The adjacent park is an outstanding feature of the town. 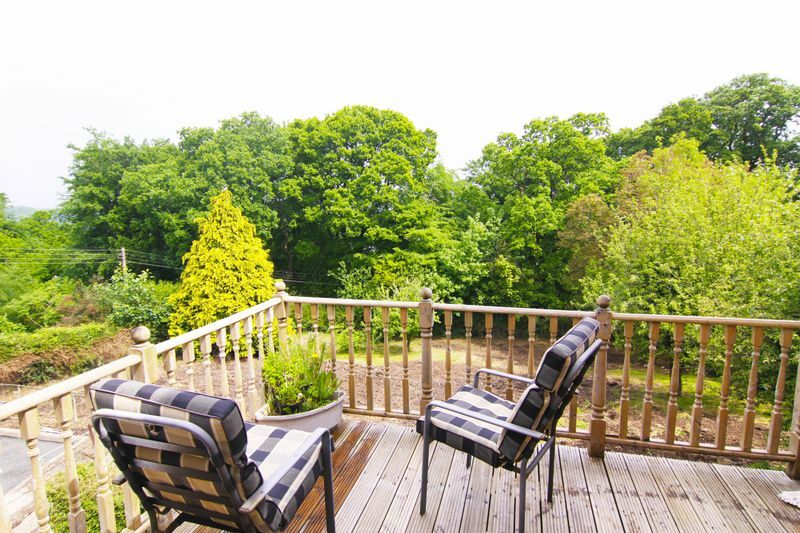 The A30 is easily accessed providing a fast journey to Exeter (23 miles) and to Cornwall. The north and south Devon coasts are both approximately 30 miles. At the traffic lights in Fore Street turn south into George Street (between Natwest Bank & The White Hart Hotel) and then take the third turning on the right into Station Road. Turn left at the monument and follow the road towards the Railway Station. Half way up the hill a turning is on the left hand side beside 111 Station Road. 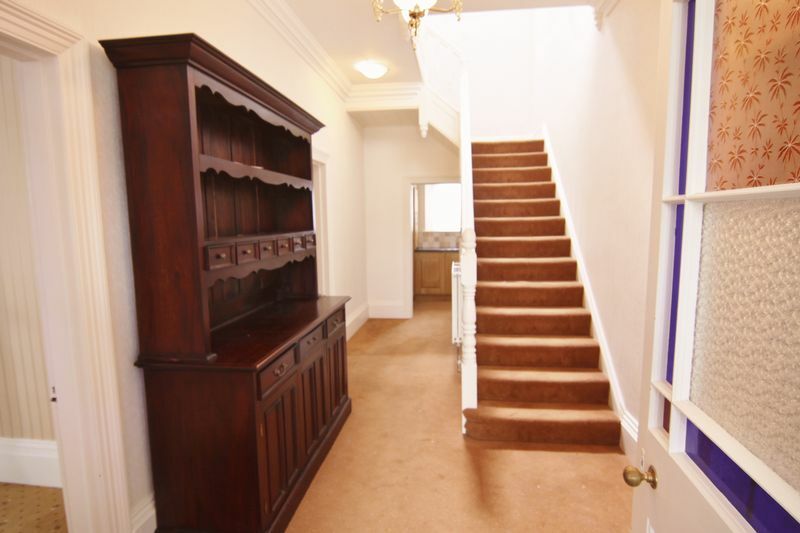 With period features such as large skirting boards, decorative coving, large staircase, fitted carpet, radiator. 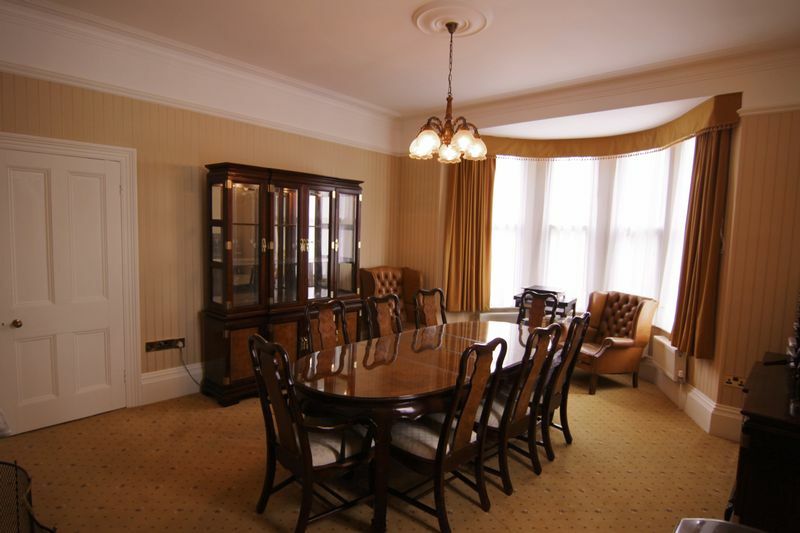 A large room with dual aspect double glazed windows, fitted carpet, radiator, T.V point. 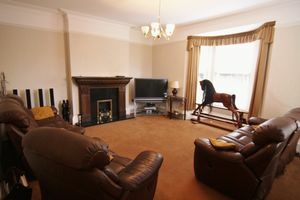 There are also the period features such as large skirting boards, decorative coving, bay window and oak fireplace dating back to 1897 with a black marble surround and hearth housing a living flame gas fire. A room for entertaining in keeping with the period of the property. 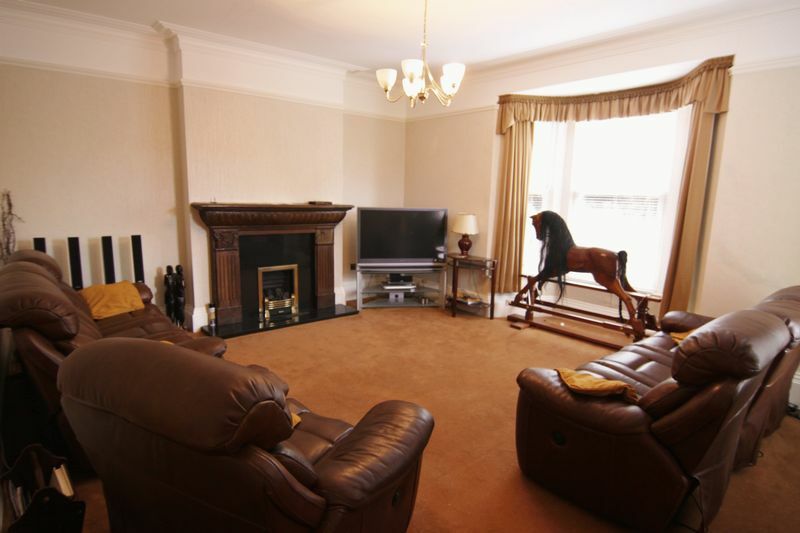 With space in abundance and features such as high skirtings, decorative coving, picture rail, bay window, marble fireplace with tiled surround and hearth housing a gas fire, fitted carpet, radiator, dual aspect double glazed windows and T.V point. 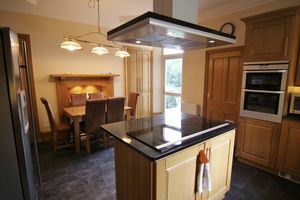 A large kitchen with space for a table consisting of matching French oak floor and wall units with a granite work surface, under cabinet lights, island with large induction hob with extractor hood over with lights. 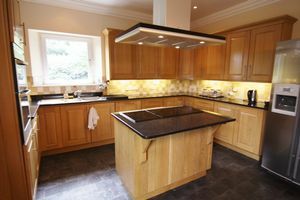 ( There is gas within the island to offer the option of a gas hob). Built in electric double oven, built in dishwasher, 2 bowl stainless steel bowl sink with waste disposal system, tile effect vinyl floor covering, radiator, T.V point. Decorative French oak fireplace with lights and shelves, storage cupboards with French oak doors and rear door leading out to the decking area. A large and light utility with plumbing for a washing machine, shelving, radiator and vinyl floor covering. With French oak storage cupboards with a laminate work surface and a radiator. A part tiled room with a close coupled toilet, pedestal wash basin, radiator and fitted carpet. A velux window makes this a light airy space with fitted carpet, radiator and features such as high skirting boards and picture rail. 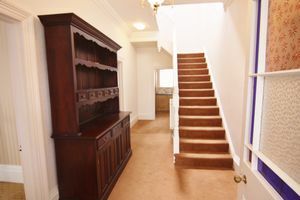 With dual aspect windows this room is spacious and light with a fitted carpet, radiator, T.V point, telephone point and built in walk in wardrobe. With a glass enclosed shower cubicle with power shower, close coupled toilet, pedestal wash basin, wall mounted mirror, electric shavers light, heated towel rail, fitted carpet and extractor fan. A light spacious room with 2 Upvc double glazed sash windows, fitted carpet, radiator, TV point, pedestal wash basin, electric shavers point, wall mounted mirror and electric shavers light. With fitted carpet, radiator, T.V point, telephone point, Upvc double glazed sash windows, pedestal wash basin, wall mounted mirror, electric shavers point and electric shavers light. With fitted carpet, T.V point, telephone point, Upvc double glazed sash windows, radiator, pedestal wash basin, wall mounted mirror, electric shavers light. 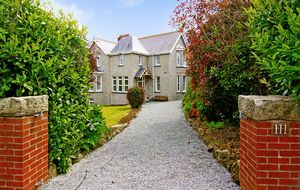 With dual aspect Upvc double glazed sash windows, radiator, fitted carpet, T.V point and telephone point. 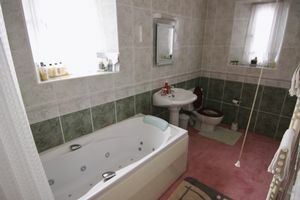 Fitted with a Jacuzzi bath with shower over, pedestal wash basin, close coupled toilet, wall mounted mirror, electric shavers light, heated towel rail, fitted carpet. 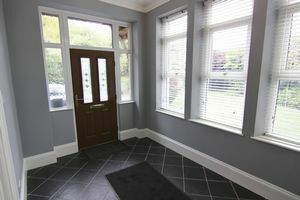 With fitted carpet, radiator, telephone point, feature fireplace and Upvc double glazed sash window. With fitted carpet, radiator and gas boiler. 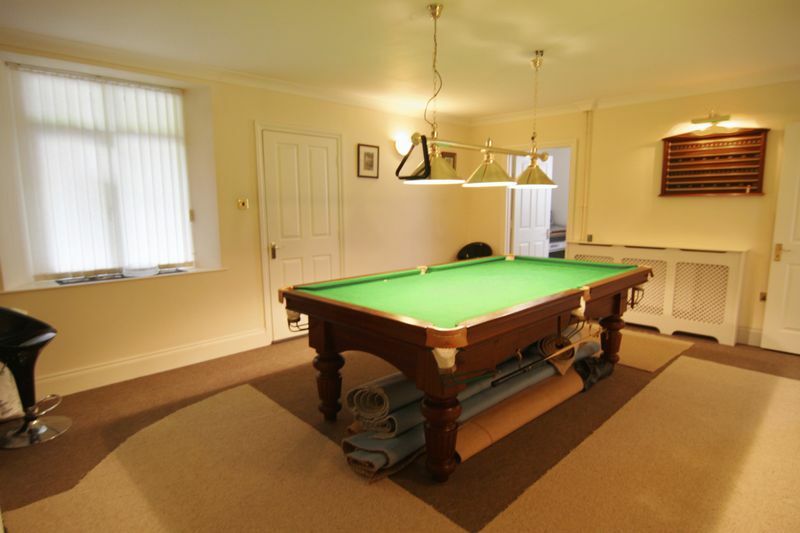 A large room that could have a variety of uses with radiator, fitted carpet and snooker table lighting. 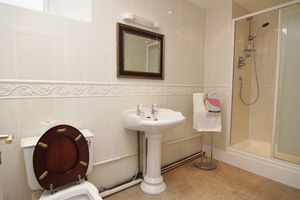 A fully tiled room comprising of a glass shower cubicle with power shower, pedestal wash basin with electric shavers light over, close coupled toilet, heated towel rail and velux window offering plenty of natural light. 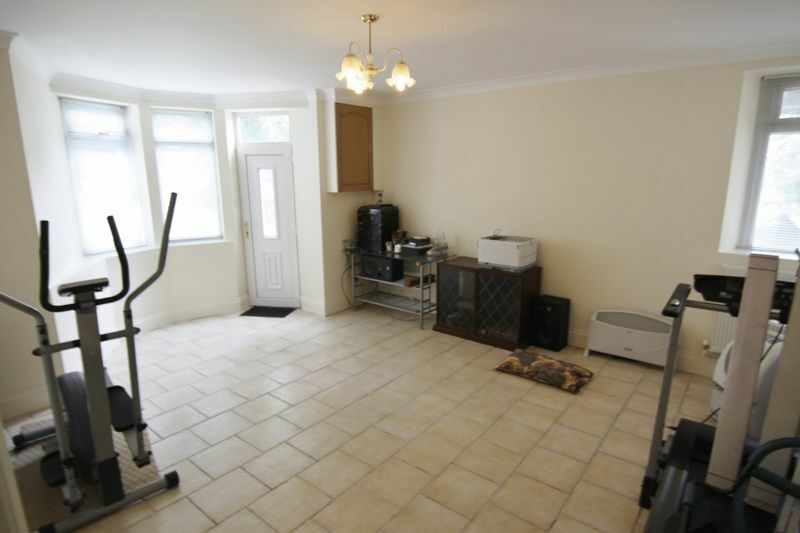 With its own entrance door into this room the basement could be used for independent living. With tiled flooring, radiator and dual aspect Upvc double glazed windows. With an electric up and over door, work benches, stainless steel sink, lighting and power. A gravelled drive leads up to the front door. This is surrounded by lawn on one side and established shrubs and bushes on the other. A raised decking area off of the kitchen offers a seating area in an idyllic location. 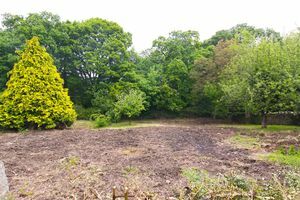 There is a further drive leading up to the garage and access to the lower garden/buliding plots.